The S post for #26Tech A-Z Challenge discusses submission or sales tracking apps – predominantly for writing queries or submissions, but also applicable to creative needs. The R post for #26Tech A-Z Challenge profiles the many apps and tools I use to make use of any time space in my day, and catch up with my (digital) reading. A small portion of this post gives a tip on Evernote usage and falls under the #Evernote4Writers series. This is a supplementary post to today’s #26Tech A-Z Quotes App post. This post falls under the #Evernote4Writers book to blog series. Read on for a tutorial on using the free Evernote notes app for collecting inspirational quotes, book excerpts or citations. The Q post for #26Tech A-Z Challenge profiles a couple of favourite methods and tools I use for collecting inspirational quotes. Because collecting quotes seems to be something that a lot of creatives do. 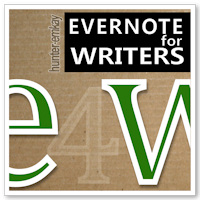 This post has a supplemental post in the book to blog series, Evernote for Writers #E4W. The N post for #26Tech A-Z Challenge profiles a few alternative over-all note-taking apps to Evernote. Because this post also falls mid-week, it’s time for another #Evernote4Writers post.